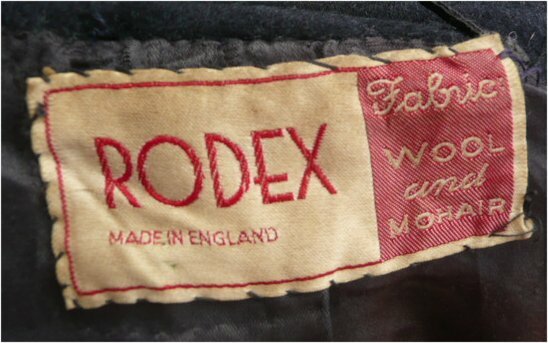 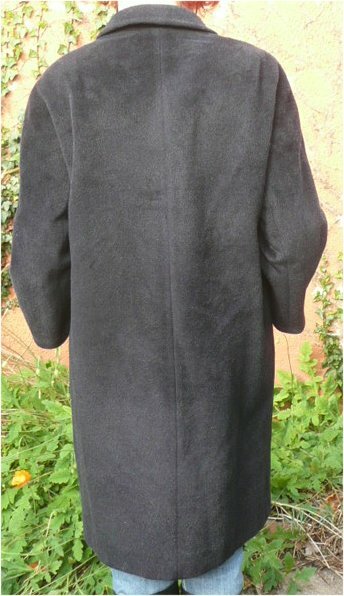 Vintage 1930s dark blue wool/mohair lady's coat by Rodex. 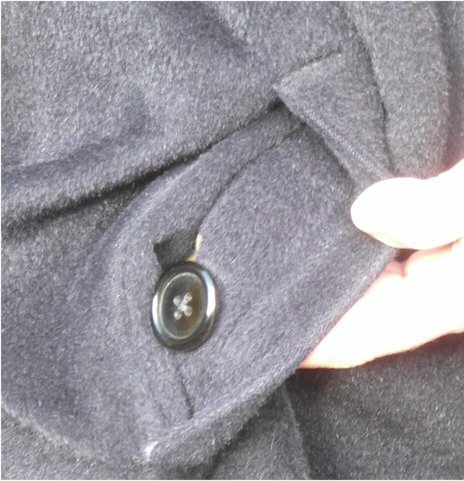 It is very hard to photograph dark colours outside on a day bright enough to take photos outside (no matter how cold!) 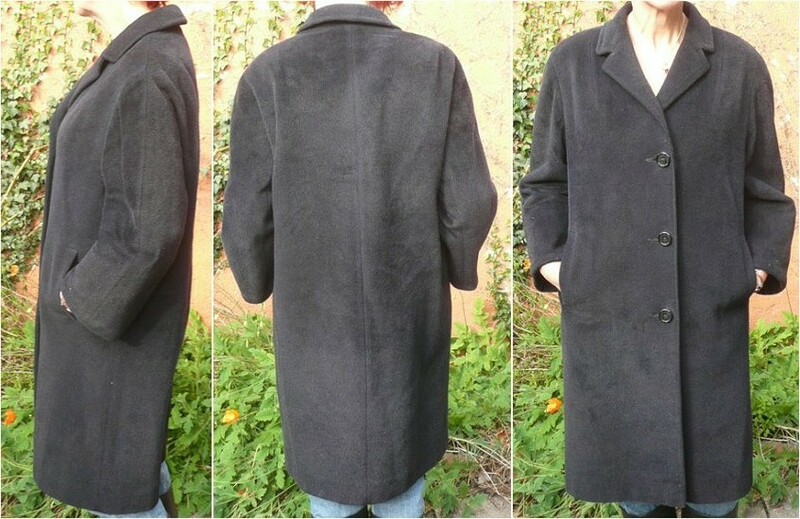 so I would like to make it quite clear that this coat really is very dark blue, despite what the pictures suggest; and apologise. 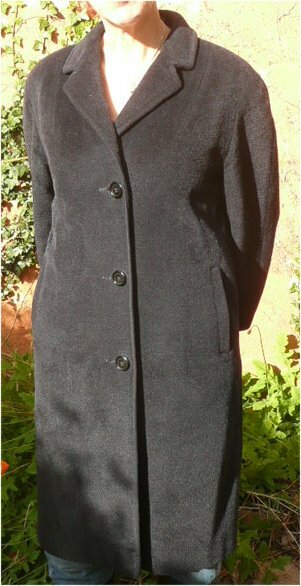 Dating from before the second world war, this is truly a classic lady's coat: very plain but completely fit for purpose, it has three buttons, two side pockets and big lapels. 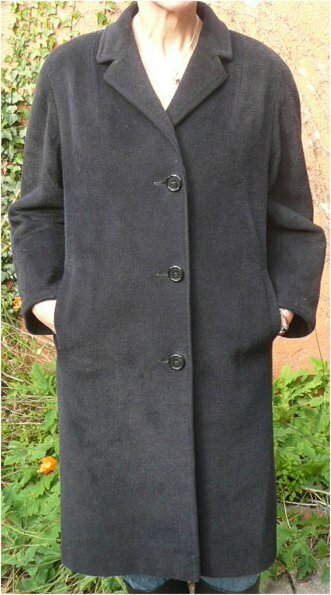 This is a proper winter coat, and in fantastic condition - the spare button is even still attached to the inner cuff of the right-hand sleeve - you will never need to buy another! 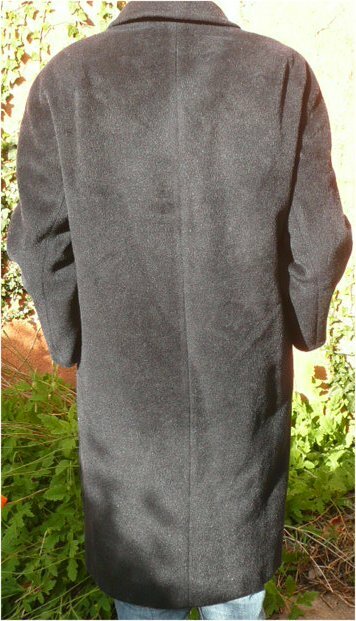 Approximate measurements are 42 inches/107 cms across the chest, 21 ½ inches/54.5 cms upper sleeve seam, 14 ½ inches/37 cms under sleeve seam, 41 inches/104 cms from back of neck.